BASKETBALL SPOTLIGHT NEWS: Potomac Valley AAU 4th & 5th Grades Regional Championship Recap: Team Glory Doubles Up! 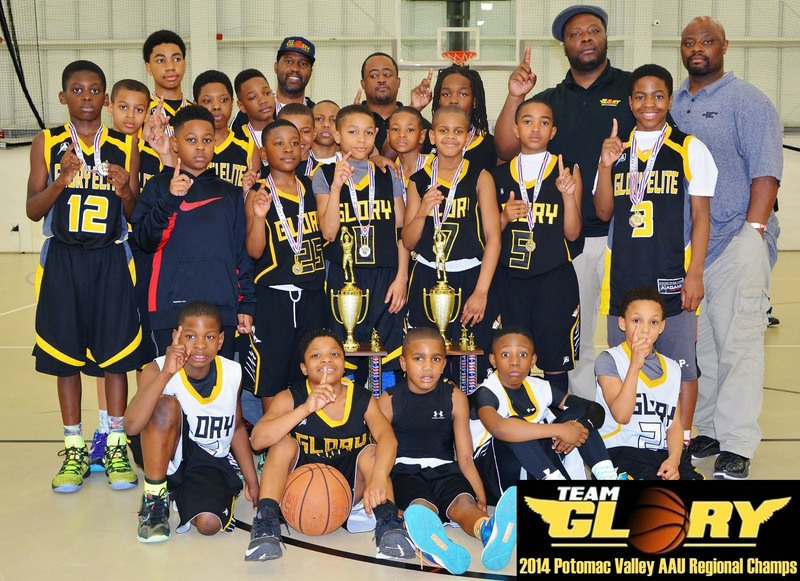 Potomac Valley AAU 4th & 5th Grades Regional Championship Recap: Team Glory Doubles Up! Team Glory’s class of 2021 has been on a roll lately defeating the National Champs once again this weekend in their District Qualifier led by the Number 1 fifth grader in the country Zion “The Lion” Harmon. Team Glory open things up early with a 16-2 lead in the first half. Zion Harmon put on a performance with clutch 3’s and powerful drives to the basket at will. No one could stop. Noah Charles hit clutch 3 after 3 to keep the big lead throughout the game. Zion Harmon even threw Erik Reynolds an outstanding alley-oop layup putting on a show while sealing the win 33-19. Team Glory’s Class of 2021 wants its title back and I think they are proving that each weekend they bring home the gold. 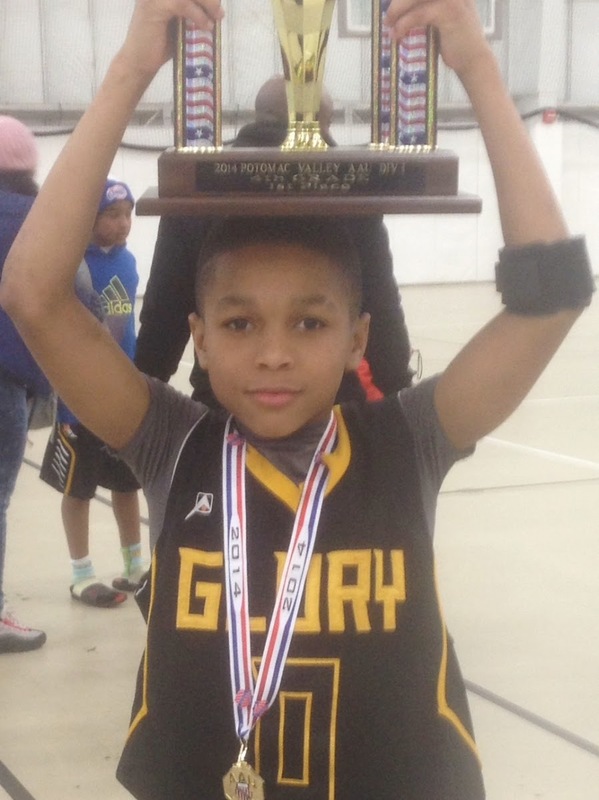 Team Glory’s Class of 2022 was finally able to get over that hump of beating MD Finest in their Regional District Qualifier this weekend led by the number one 4th grade PG in the country “Lil Doug” McDaniel. Team Glory went down in the first quarter 26-12 to go on a 15-1 run and tie the game up at half time with clutch shooting and stellar performances from Jay Johnson and Farrell Crowell. Team Glory held down the 3rd quarter without their number 1 player Lil Doug who sat the entire 3rd quarter with 3 fouls. Lil Doug came in the 4th quarter with the will to win hitting clutch shots to keep them in the game. Glory was down by 4 with 39 seconds left when Lil Doug hit a clutch 3 to bring it within 1. Grabbing the rebound off the 1 and 1 miss Lil Doug was able to go the length of the court in 9 seconds to hit the game winning layup and seal the win. We haven’t seen a kid who can run the length of the floor like this with the ball since Ty Lawson. He’s coming into his own this year and really becoming a clutch player. Look out for this kid…he’s gunning for another National Championship but this time he wants to lead the way!